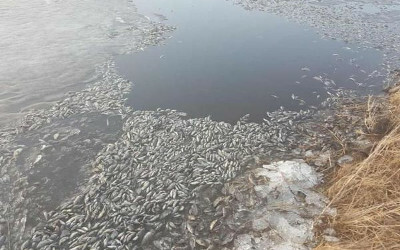 AKIPRESS.COM - A large number of dead fish was spotted along the Morigele River in Hulunbuir, north China’s Inner Mongolia on April 21, 2016, reports People's Daily Online. Chinese web users have uploaded the astonishing pictures of fish kill onto the Internet, which aroused attention of the local environment watchdog. The Hulunbuir Environmental Protection Bureau has launched an investigation into the fish die-off and river pollution. So far, source of the pollution is still unclear.